Why not join us? We are always pleased to welcome new members be they experienced or beginners. All we ask is that you are available to ring on Sunday mornings. You do not need to be very strong. If you are interested in learning then contact us via the above link. We are pleased to be able make that special day a little more special by ringing for your Wedding. A team of ringers will be at the church approximately 30 minutes before the start of the wedding and will stay on duty for an hour and a half. We raise the bells approximately 30 minutes before the service and ring, more or less continuously until we receive the signal that the bride has arrived at the church gate. We ring for a minute or so more and then stop for the service. As the couple leaves the church afterwards we begin again and ring until the hour and a half is completed. For a 30 minute wedding service which starts on time this will mean 30 minutes ringing afterwards. If the service starts late or is unusually long there will be proportionally less ringing afterwards. 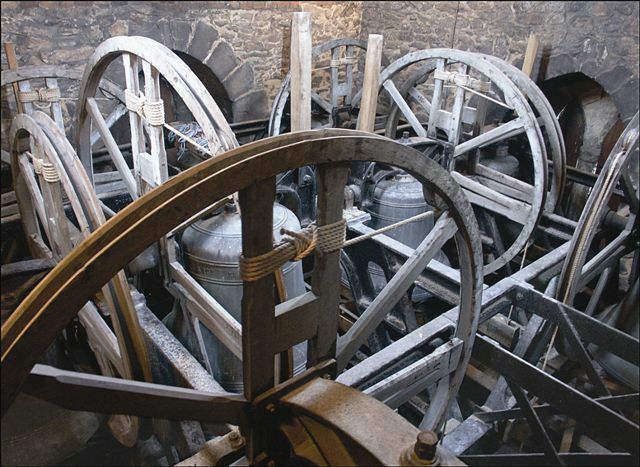 The bells can be requested at the same time as booking your wedding, or via the clergy team. The cost can also be confirmed in the same way.